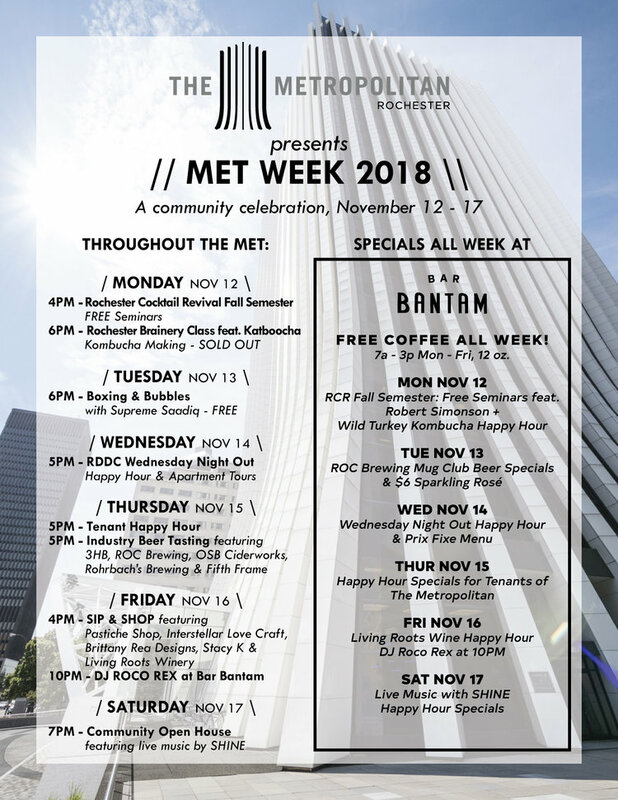 Get ready for Met Week 2018, a Community Celebration being put on by The Metropolitan Rochester starting Monday, November 12th thru Saturday, November 17th. Bar Bantam, located inside The Metropolitan, is offering FREE coffee all week during the hours of 7a-3p. Check out the daily list of offerings and activities which include FREE seminars, Happy Hour Specials, Live Music, all ending with a Community Open House for the general public on Saturday the 17th. For more info and to stay up to date on all the events, check out The Metropolitan’s Facebook page and events.